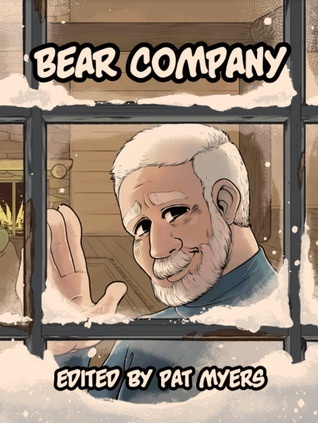 BEAR COMPANY is a short, trans-inclusive anthology about big gay men. The stories are slice of life and leave you with the impression of a warm hug. The Kickstarter lays out the overall goal of the project, and I think it succeeds in presenting short, fluffy comics with an emotional core that's validating and heartwarming. It's short, so you'll have to decide if you can swing the $6 for digital or $10 for print, but here's an overview to help you get there. There are four stories, all in black and white, coming in at just under 50 pages. 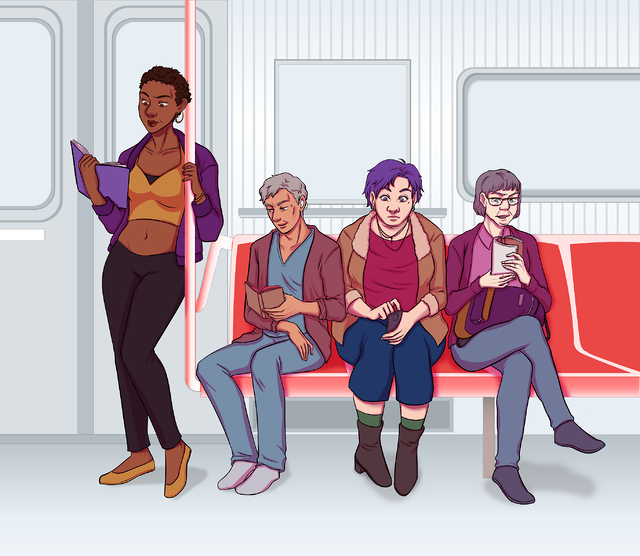 The first is a futuristic sci-fi comic that deals with ideas of belonging and acceptance. One character is showing off his new body modifications, and it's the first time I've ever read of a character choosing a fat body when they can choose their parts. It's incredibly validating. There's a comic about a bunch of arctic scientists planning a party for their friend who will be visiting from the next camp over, and it's nerdy and sweet and focused on the building of community. The third story was the least successful. It's short and has no dialogue, which leaves us looking at the bare-bones panels to sort through the action. It looked like a group of men welcoming another into the group and sharing a meal. The last is about a one night stand, told from the perspective of someone who wakes up in bed with a bear and finds himself at breakfast, chatting about life. It's one of those comics that goes to a place you don't expect, with an ending that explores the impact a fleeting encounter can have on our entire life. The comics are sweet and heartwarming, but this is a case of Kickstarter regret for me, as I paid $13 to get a physical copy and would have been happier with digital for half the cost. I am glad, however, that there's an anthology out there that treats fat gay men with gentle respect. If that's something you want to read, you'll probably enjoy this anthology.